As always, well designed stuff! I liked those swirling square patterns (based on fibonacci I guess?). This is one of the 64k amiga intros I enjoyed even if it doesn't feature some serious effects. Cool one! nice flow and cool tune!! @Optimus: about 80 % of the visual content is based on this number pattern or the Phi-ratio; even the playfield of 320x190 gets close to that. Yet again, some scenes run in an abysmal framerate on the A500 and I'm sorry for that. ok we are in the same group but - this time i did nothing for the intro - which is a shame. But this way i can thumb up this production with a clear conscience. nice one! solid! 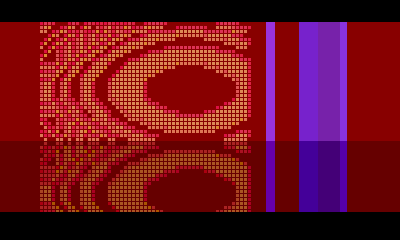 Recycling: hmm, only stuff I re-refered to was the sine-fx with raster colours and I used my filled-circle thingie for the "moodcci". Rest was pretty much from scratch or heavily revisited. Selectanovel again does a good tune so hoping to hear more from him. yeah, FX-wise it was a compromise from the start, again. Dunno what you mean with the "trees in two scenes". There's only this "growing" tree and some leaf-branches that I drew on a wall one time as a whole, photographed them and used it as gfx resource. Recycling: hmm, only stuff I re-refered to was the sine-fx with raster colours and I used my filled-circle thingie for the "moodcci". These are exactly the routines I was referring to. ;) Oh, and of course a certain MessageBox_MB :D (doesn't count of course but I couldn't resist a lousy joke :P). Please don't add this to the prod's link list for I'm sure that a real propper capture/recording will be provided in due time. nice design, nice music, nice intro! extra thumb up for compatibility with 030 and quite a low requirement (all other demos and intros from BP2010 have compatibility problems for me or require more memory). music alone deserves a BIG THUMB ! i like how this intro looks like fresh from the nineties ! rulez added on the 2010-04-16 07:45:23 by ɧ4ɾɗվ. kkcaptu...err video capture of the final version finally available. Very good design and graphics. Watched it on my A500. I liked the audio samples best! Not so much going on regarding explicit, visual tricks though. Really great with nice music. nice screens, lacking a bit design polish. Great. Work fine on Amiga 500.
page created in 0.023072 seconds with 15 queries.